Taking on a Dalmatian for the rest of its life, is not a step to be taken lightly. Important facts about owning a Dalmatian. Will you enjoy living with a Dalmatian? That depends. Dalmatians are wonderful dogs. 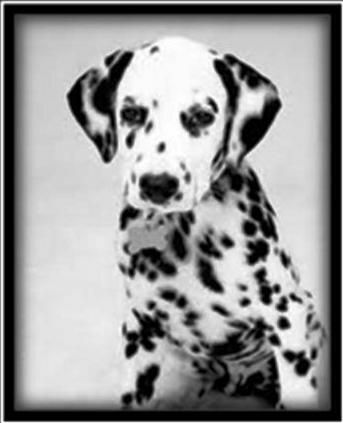 However, you need to understand the history of the breed and what makes Dalmatians so unique. Without this understanding, a Dalmatian can be your worst nightmare. Did you know Dalmatians were bred to run with a coach and horses? They were also used to guard the coach and the horses. To guard, they required an intelligent nature; to run all day, they required an extremely high energy level. All Dalmatians need both physical and mental stimulation. Without it, they can easily become bored and destructive. As a Dalmatian owner, you will need time to train and exercise your dog. A fully grown Dalmatian can weigh up to 30kg. Dals are very energetic, intelligent, stubborn, and playful. Their strong (constantly wagging) tails can clear a coffee table in five seconds! Is a Dalmatian the right dog for you? It depends as much on your own personality and lifestyle as the personality of the dog you are planning to adopt. DALS are a good family dog BUT too lively for children under five. DALS are intelligent and quick to learn BUT stubborn; they need firm but gentle hand, obedience training. They are not for people who don't set limits. DALS are people oriented, excellent indoor & outdoor companion BUT they are not a yard dog and need lots of people contact. DALS love to go, go, go. They like jogging and biking BUT needs owner involvement. DALS are natural watch dogs; polite when properly introduced. They are loyal to family and will protect BUT may be aloof with strangers. DALS are generally healthy BUT can suffer from genetic deafness, uric stones and skin problems and do not like cold weather for long periods of time. DALS are loved by owners who like active, challenging dogs BUT not liked by owners who want quiet, settled dogs. DALS have a short sleek coat that requires minimal grooming BUT they lose hair 24/7, 365 days a year. If you don't like white hair that sticks EVERYTHING they are not for you!